Photo: Gratefully with a big shout-out to Thomas Hetzler on Unsplash! Austin-based Kirk Tuck is my favorite hard-working pro photographer. I’m of an age when the world is very interesting, and I positively slaver when I find new connections. If you’re thinking that a pro photographer’s thoughts aren’t going to be relevant for your particular artistic practice, I beg you to reconsider. I believe they touch on universals. Yes, si, da, ja, and oui. Kirk doesn’t tolerate fools gladly. He’s particularly impatient when people try to make photography more complicated than it needs to be. As a practicing professional who’s continually fighting deadlines, he’s deeply focused on trimming his gear and methods to the best possible working man’s tool kit. He’s very, very good it, and it has helped him be successful. When I ran ultramarathons, I loved the idea of minimalism in sports. I loved to trim my gear to the bare essentials. Often I would set off into the wilds of the Marin Headlands bearing a frighteningly scant amount of gear: a small Camelback pack with water, electrolytes, and a single energy bar for a 30-mile jaunt of 6 to 7½ hours. In part, it contributed to a feeling of lightness and freedom. But it also kept me focused on what I was doing, and on the inner experience of the day. And as a photographer and runner, I’ve always found that the greatest happiness comes from paying attention. I’ve mentioned a friend, Tom Taylor, who managed a small country market outside Nevada City, CA. (For the Ananda folks, yes, it was Master’s Market at Ananda Village.) Tom loved his job, but there was one aspect that he positively hated: stocking the shelves. Then he latched onto the idea that instead of fighting the onerous chore, maybe he should give it his full attention. In The Joyful Athlete, I describe what happened next. He decided to make a game of it. He would put all his attention into restocking the shelves—carefully lining up the cans and bottles, making sure the labels faced forward, and cleaning dust or stains from the products and shelves. I know it sounds weird, but I’ve been able to finish some of my worst, most godawful runs feeling wonderful, simply by focusing my attention deeply on what was happening, even the bad parts. Focusing attention energizes the part of the brain where positive attitudes and important problem-solving abilities are localized: in the prefrontal cortex (PFC) and anterior cingulate gyrus. It’s a reason why yogis, Buddhists, and Christian contemplatives place emphasis on learning to concentrate calmly there. The PFC is a “feel-good” part of the brain. Researchers have long known that people who have a habitually positive attitude and are good at setting and achieving long-term goals have strongly activated PFCs. Research shows that mental focus creates happiness, and letting our minds wander is a mistake. Not everyone will choose to be an “associater.” It’s the more difficult path, but there’s no doubt that it pays dividends. Thanks to Kirk Tuck for reminding us that happiness grows when we avoid making our sport, our art, or our work more complicated than it has to be. Life will bring us all the complications we will ever need. Thank you! Your gifts help spread the liberating message of Paramhansa Yogananda through the arts. Why Donate? Follow the link to learn how your contributions are used. FAVORITE PERFORMANCES PAGE. Exceptional FREE performances of inspired music, including the divinely received songs of Swami Kriyananda. 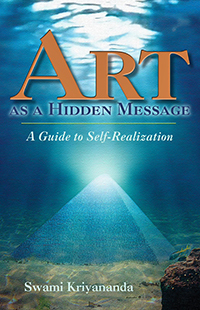 This wonderful book offers a blueprint for the future of art, and shows how art can be an essential tool for personal spiritual development and to uplift and inspire others. — Sir Kenneth Clark, author of Civilisation, renowned British art historian. Free samples, books, talks, and more. 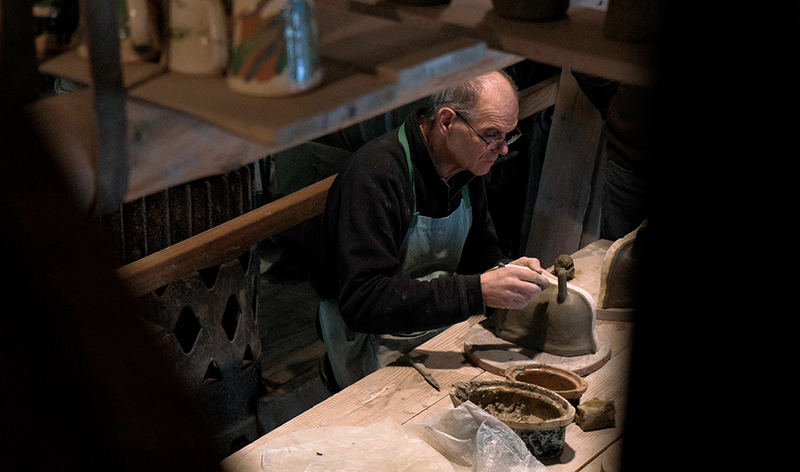 Art as a Spiritual Practice — More Than Just Meaningless Words?